One of Gosper Enterprises specialties is rural farm sheds. We have many rural clients requiring sheds for various purposes. 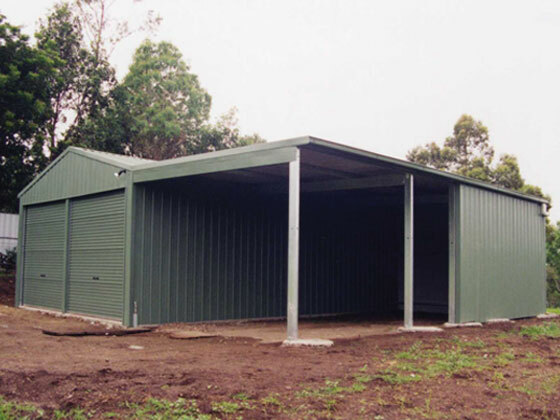 With our 30 years experience designing, manufacturing and constructing sheds you can be confident that Gosper Enterprises has the solution for your requirements. Standard shapes and sizes available in KIT FORM or CUSTOMISED to suit your requirements. Full engineering and drawing service is available. 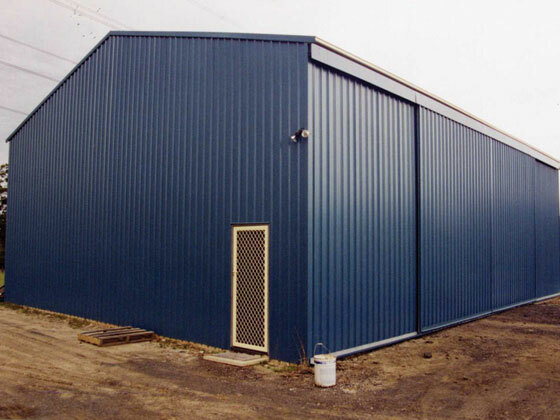 INCLUDES: Heavy guage Colorbond Steel ROOF & WALLS with all rainwater accessories to ground level. All complete with coloured fasteners & Colorbond flashings to suit corners, drip trays over doors & windows etc. A comprehensive range of Roller Doors, Panel Lift doors, customised Steel Sliding doors, Personal Access doors & Glass Sliding doors & windows are availble on request. OTHER SERVICES: CONCRETING, GYPROCK, ELECTRICAL, EARTHMOVING, DRIVEWAYS (concrete: sandstone & metal dust, two coat tar sealed), all arranged by GOSPERS or we can fit in around you if you'd prefer to build or concrete yourself. We can work in with the home handyman or builder.